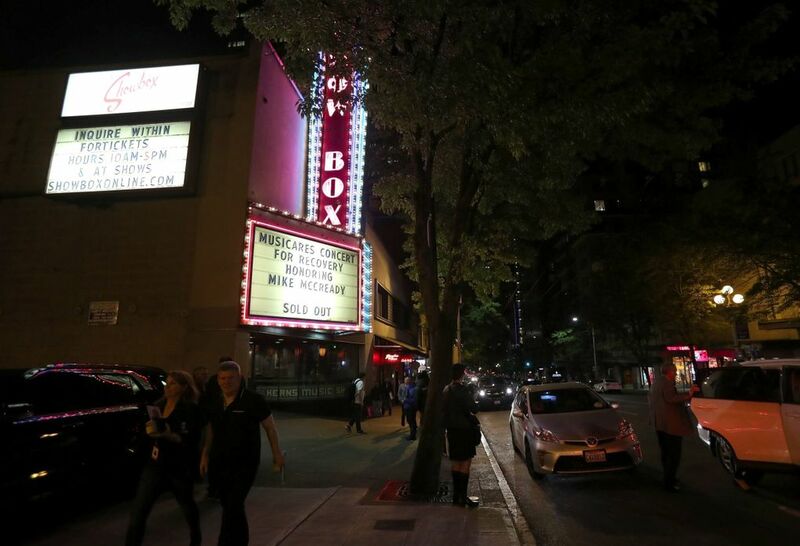 The story of the Showbox music venue is exasperating to those who warned that Seattle’s growth-on-steroids policies would gentrify the city and sweep away its history. Back when Seattle was apparently still but a fishing village — by which I mean 2006 — the city’s fathers and mothers decided that what was really needed to get things moving around here was a supercharged double shot of growth. “Seattle’s downtown skyline could soon soar hundreds of feet,” read the coverage back then, as the city decided to raise building heights across downtown that had been restricted since the 1980s. We’d get waves of “soul-robbing corporate towers,” he predicted, while the city’s older, more affordable housing, and its historic buildings, would increasingly fall to the wrecking ball. For that Fox got called a NIMBY, for “Not In My Backyard,” a sort of urban Luddite. But he was also right. Take the recent plight of the Showbox theater. The zoning changes did contribute to the possible gentrification and destruction of an important cultural landmark, just as he was warning about. The Showbox is in an older building, on land that’s been upzoned twice in recent years (in 2006 and again last year). The purpose of the upzonings was to lure in developers to tear down old squat buildings and build shimmering residential towers in the sky — exactly what the Showbox-destroyers are proposing to do. Fox’s point at the time wasn’t that new density like this is bad, only that it can’t be the only good. Other qualities matter, like the scale of buildings, and the matching of infrastructure and services to the pace of growth. With the upzoning, developers were required to pay into an affordable-housing fund, so that’s a positive. But cultural and historical values were for the most part set aside in the growth rush. Nearly 100,000 signatures on a save-the-Showbox petition show how off that was. Of course the time to value the Showbox’s importance in Seattle culture would have been before aggressively upzoning the land. It’s interesting that after the 2006 upzone — which one architect said heralded the biggest change to downtown “since Henry Yesler built his sawmill” — the city surveyed buildings to see which ones might warrant some historic status. That look at nearly 400 downtown buildings ranked them from 1 (most historic) to 4 (no historic value whatsoever.) 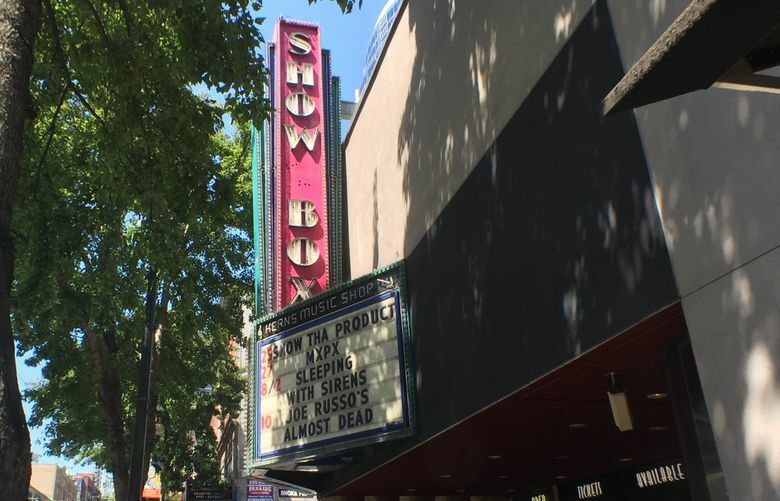 The Showbox earned the lowest ranking, a 4. In 2011, the city also created a Historic Theater District downtown, formed to encompass five of Seattle’s great performance spaces (The Moore, The Paramount, the ACT, Town Hall and 5th Avenue Theatre.) The Showbox was not included. OK, so now we’ve changed our minds. That’s fine, except that in the meantime a developer walked in on the red carpet the city rolled out and got the property under contract to build a 44-story apartment tower. So to block that, the City Council voted Monday to shift the land temporarily into the Pike Market historic district — which for the time being would effectively downzone it by 40-plus stories. That’s quite an about-face after all that rah-rah about growth. The land owner would seem to have a legit gripe, or a claim in court, that he’s been yanked around by a city that can’t decide what it wants. Like most middle-aged folks in Seattle, I came of age hearing bands at the Showbox. So I hope the theater gets saved. But the city can’t just take it. Basically the people are now demanding the property’s development rights. It would seem the only way out is for a GoFundMe campaign, maybe led by the likes of Pearl Jam, to buy those rights. Absent that, I would caution Showbox fans who were so excitedly cheering the City Council on Monday: That group doesn’t have the greatest legal track record. Growth boosters are going to continue dominating Seattle politics; the city is planning more rounds of upzonings as you read this. All I hope is they fully consider all the nuances this time. You know, “remember the Showbox,” that time they all became NIMBYs, too.